For those who already know who Mat Best is, you may be forgiven for picturing him in a wife beater and a pair of Ranger pants, armed with an AK-47 and a mug of straight up black coffee. Truthfully, this represents the multi-layered nature of the man who managed to successfully transition from his time in the army to a civilian who is an actor and has started six successful businesses, including a fashion line and a coffee brand. Best is an actor, comedian, writer, director, and YouTube sensation. His Youtube channel MBest11x, as at July 2018, has garnered over 800,000 subscribers and well over 30 million views in the last 6 years. He is arguably the most influential post-9/11 army veteran not involved in politics. For those who are contemplating a change endeavor, this veteran with a sense of humor may just be the greatest inspiration to take that first step. Best was born on October 2, 1985, in El Paso, Texas. He grew up in Santa Barbara, California with his two brothers both of who are older than him. Mat grew up in a family of Marines. His grandfather, father and two brothers all served in the US Marine. He had always joked about joining the Marines while he was younger. However, after his two older brothers were drafted into the Marines while he was in junior high, he set his sights on becoming a Ranger instead. This was after a friend had shown him what the Rangers were all about. At the age of 17, he joined the Rangers. He turned 18 during basic training after which he was sent to the 2nd Battalion and joined his platoon in Mosul a fortnight later. During his time with the Army, he was deployed five times to Iraq and Afghanistan with the 2nd Ranger Batallion, and the 75th Ranger Regiment. After his service with the military, Mat Best served as a contractor for the CIA and was deployed to several overseas locations for the government agency. He worked with the agency for five years. Best also found time after this period of his life to obtain a college degree – a Bachelor’s Degree in Liberal Arts. In February 2012, Best decided his hands out in comedy. His massive success is proof that comedy comes naturally to him. His first few videos on his YouTube channel did not get any significant traction. However, his fifth video titled “How to be an Operator” exploded and reinforced the former Ranger’s resolve to move forward with it. Best’s satirical videos are unique in that he finds a way to blend everything from the dirtiest of jokes to strong social values that, he says are all part and parcel of his very complex personality. His viewership and followership on social media started with a largely military or military-affiliated base, he quickly became a more civilian and commercial success. A good number of his videos have each collected millions of views. Some of them include “Dumb Sh*t Guys Do”, “Epic Rap Battle: Special Forces vs MARSOC”, “You Might Be a Veteran If…”, and “How to Be a Crossfitter”. As a businessman, the former Ranger has proved his mettle with the slew of businesses he has been involved in establishing. 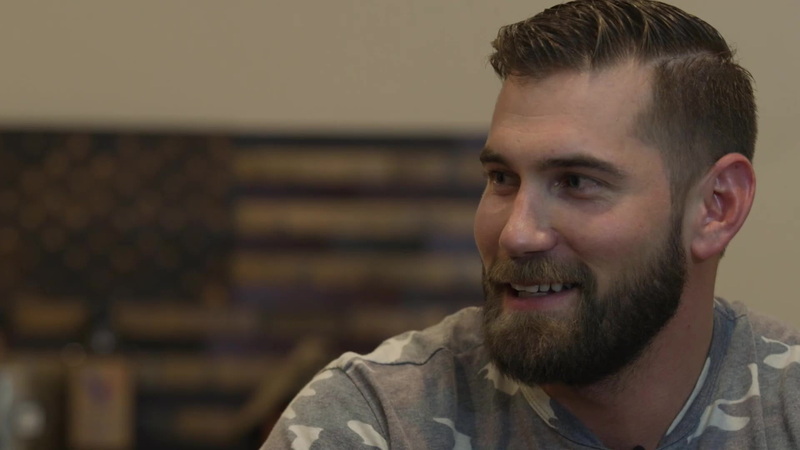 Mat is the CEO of Article 15 Clothing, a clothing and lifestyle brand geared towards the veteran and second amendment communities across the United States. He sits at the helm of this venture with four of his veteran buddies, JT, Cody, Rocco, and Brad. Best is also the CEO of Leadslinger’s Whiskey, a venture he conceptualized in 2013 with his buddies from Article 15. He is the Chief Branding Officer of the Black Rifle Coffee Company and one of the anchors on the popular Drinkin’ Bros Podcast. Mat Best has also been involved in the entertainment industry since 2015. He has appeared in a slew of documentaries, TV series, and independent movies. Arguably, his most popular work is the movie Range 15, shot in 2016. The movie tells the story of a group of partying army veterans in the wake of a global scale zombie apocalypse. He was also the producer on the project. In 2017, he also appeared in the independent film Deported as a guard. In 2015, he portrayed the character Bo Scagnetti in the real-life inspired movie Hellen Keller vs. Nightwolves. Some documentaries and series which Mat Best has produced, directed or acted in include: Roadtrip Nation, Not a War Story, Living for the Ones Who Can’t, and Drinkin’ Bros Live: The Shaved Eagle Tour. In the midst of his largely experimental but well thought-out endeavors, Mat found the time for romance. It is not clear when he met Noelle, his then-girlfriend. However, judging from her numerous appearances in his YouTube videos and Drinkin’ Bros podcast, it is safe to assume that they have been an item for a while. Noelle who was born on December 25, 1984, in Minneapolis, Minnesota, is also a social media personality and celebrity herself. She started pursuing social media fame in 2015, posting regularly on her Instagram account. She has over 100,000 on her @noelle_best account as at July 2018. The couple got married in July 2017 and do not have any children yet. What is Mat Best’s Net Worth? With all the documentaries, films, and businesses that Mat has or is involved in he should be sitting on a sizeable net worth. His companies make good money every year. For instance, the CEO of Black Rifle Coffee and former Green Beret, Evan Hafer revealed during an April 2018 interview that the company grosses about $30 million annually. Also, according to this interview on Forbes, Article 15 Clothing was already making $90,000 by its third month. Statistics such as these are the reasons why Mat Best’s net worth is reported to be approximately $2 million.